Today I helped out with a family activity day at the William Morris gallery. Since William Morris visited Iceland (twice) and was inspired by its beautiful landscape, culture and traditional handicrafts, the theme was ‘Iceland adventure’. I learned a few things: where Iceland is (=between Greenland, Ireland and Norway), what the Icelandic for ‘volcano’ is (=volcano, ha! ), and that if you give a child a pencil and paper they can do wondrous things. 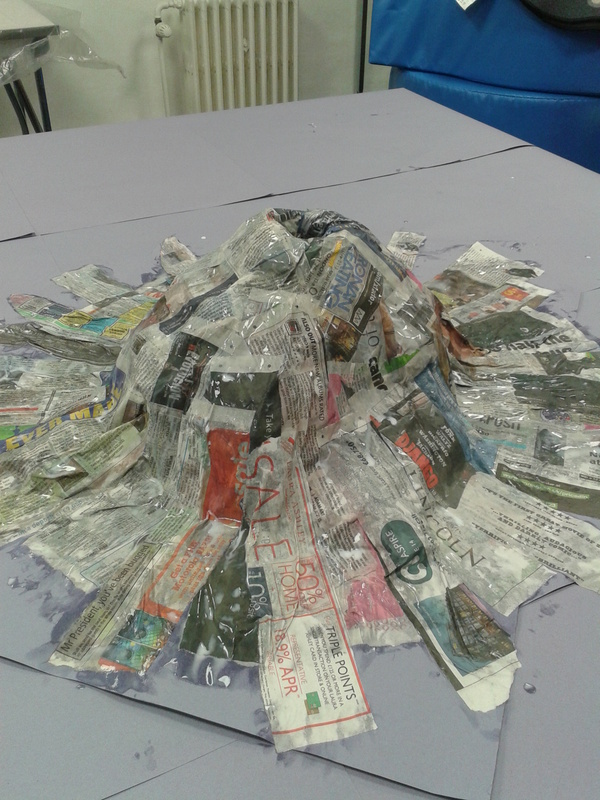 Naturally, our family-friendly take on the country involved a LOT of scissors, glue, paint and newspaper. This was the beautiful result! 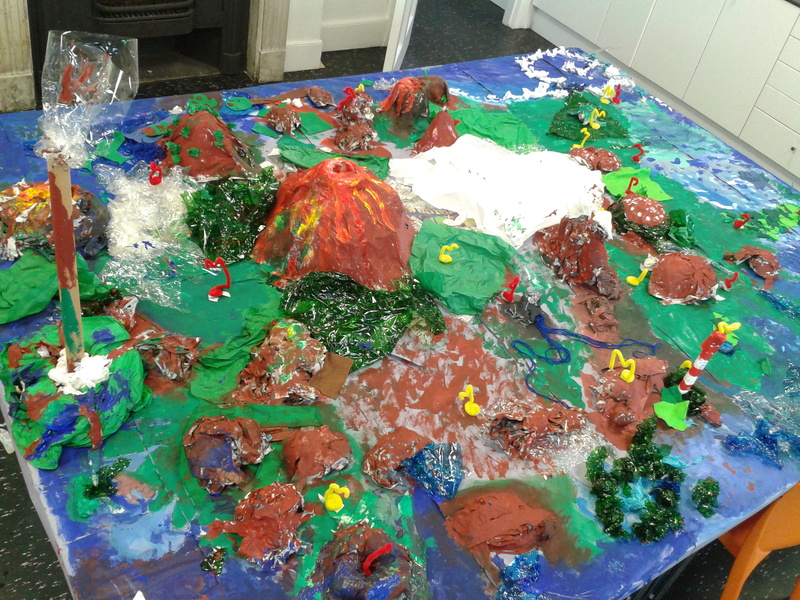 I was not a little proud of my papier-mâché night-before contribution..
..now complete with lava flows (no ash cloud though).